The Sneakers & Sirens 5k/10k will benefit two very important charities. During registration each participant will choose whether they want the profits from their entry to benefit the Special Olympics Washington or Code 4 Northwest - a charity supporting local first responders in crisis. Read on and follow the links to learn more about both of these wonderful organizations. 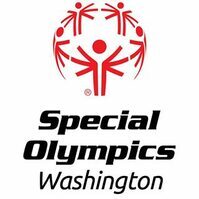 The vision of Special Olympics Washington is to help bring all persons with intellectual disabilities into the larger society under conditions whereby they are accepted, respected and given the chance to become useful and productive citizens. Special Olympics Washington provides year-round sports training and athletic competition in a variety of Olympic type sports for children and adults with intellectual disabilities, giving them continuing opportunities to develop physical fitness, demonstrate courage, experience joy and participate in the sharing of gifts, skills and friendship with their families, other Special Olympics athletes and the community. Code 4 Northwest was created to ensure Washington State's first responders have access to the best help possible when in crisis. Code 4 Northwest is an entirely volunteer-run, free and confidential crisis response and referral network for Washington State active and retired first responders, EMS, corrections, civilian support personnel, and their families.